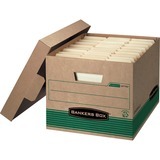 Environmentally friendly boxes with secure locking lid offer a medium-duty construction for moderate stacking and archiving inactive letter-size or legal-size files on shelves. FastFold setup feature makes box assembly fast and easy. Deep, locking, liftoff lid stays in place for secure file storage. 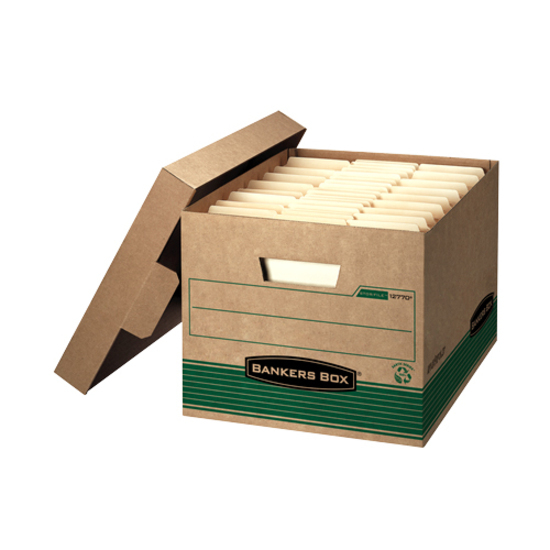 Boxes are made from a high percentage of recycled material. Average amount of evenly distributed weight that can be safely stacked on top of each box is 550 lb.